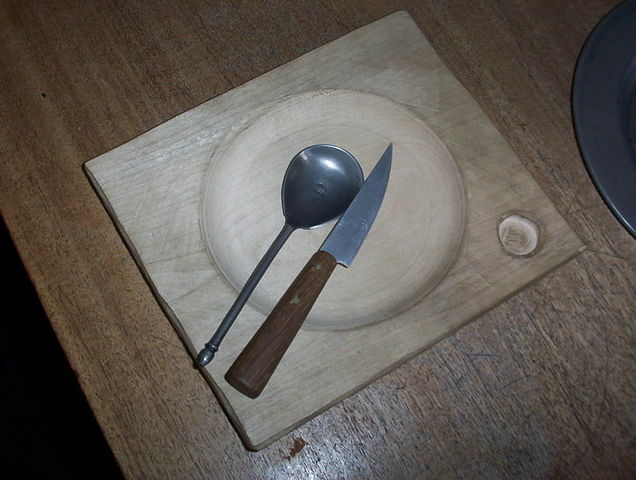 From trencher (a flat piece of wood on which food is served or carved), from Old French trenchier (to cut), from Latin truncare (to lop). Earliest documented use: 1590. Mike Hollow; Direct Hit; Lion Fiction; 2015. See more usage examples of trencherman in Vocabulary.com’s dictionary.